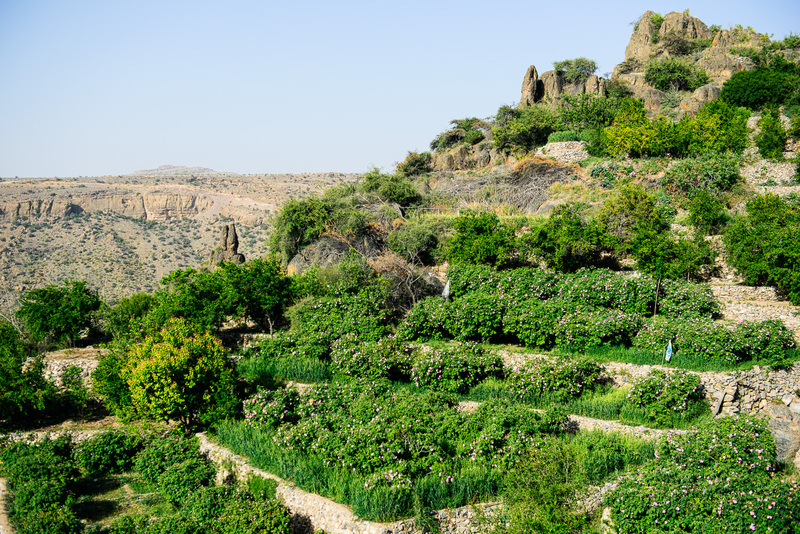 A view of the village of AlShirejah in AlJabal AlAKhdar “The Green Mountain” in Oman, as the day draws to a close. Extending from the centre to the bottom left of the first photograph you can clearly see the terrace gardens that roses are grown in amongst many other crops such as Apricots, grapes and Pomegranates. We spent the morning photographing Abdul Kareem bin Saif AlSuqry as he hand picked roses from the steps, that are then sent to his brother Abdullah in the village of Seeq to extract traditional Omani rose water. 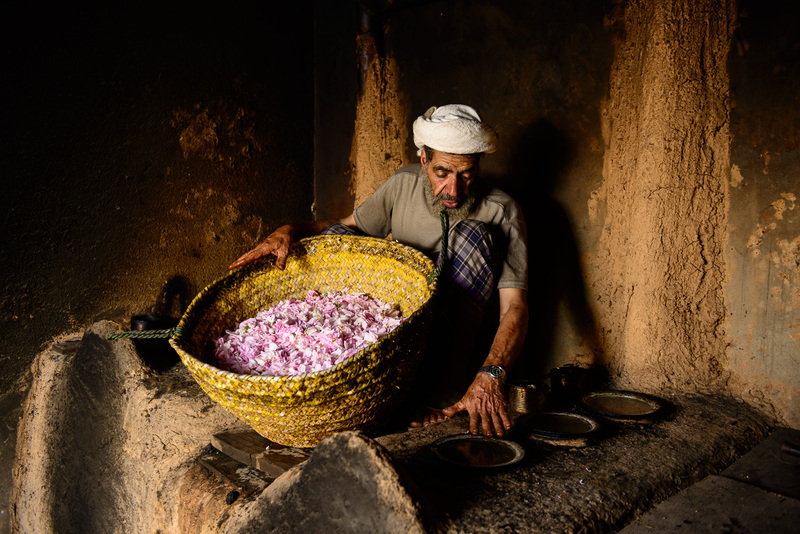 Rose water and fragrance extraction is a traditional industry AlShereja and surrounding villages that men like the AlSuqri brothers have practiced for more then a millennia; a craft amongst many that are rapidly disappearing in the region. 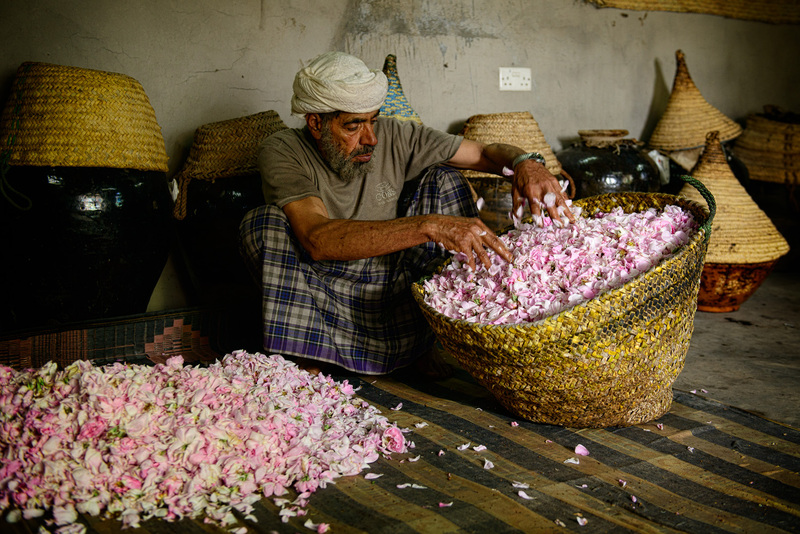 During the blossom season Abdullah would work around the clock extracting rose water as the sacks full of roses keep on coming in from the gardens every morning; as the roses have to be processed while they are still fresh. 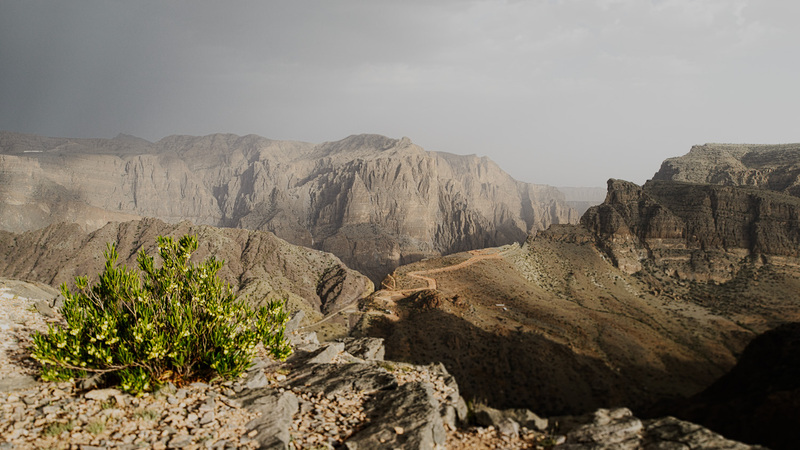 Abu Jamal who we met during our last visit to Jabal Akhdar us told stories of his father staying away from his families in his distillery working day and night for up to 8 weeks on a good season. 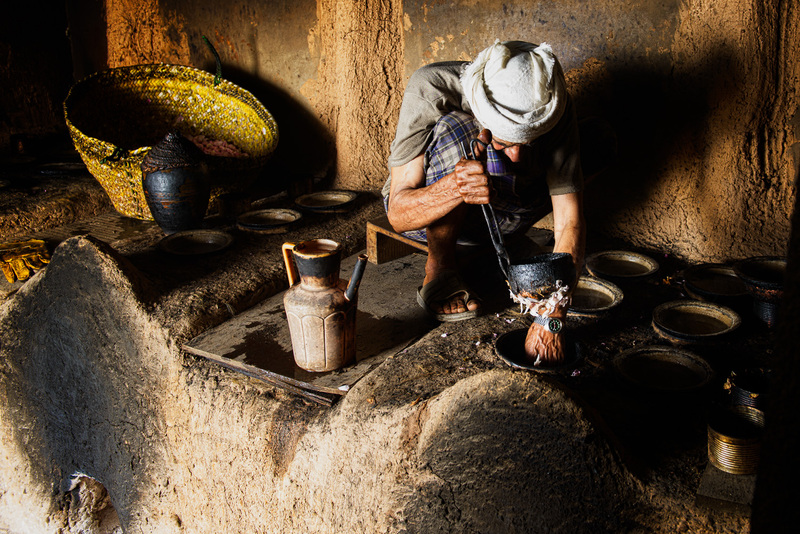 The process involves heating the roses in special clay ovens to extract the liquid in them, the resulting rose water is then collected and left to settle in large clay pots for at least six weeks before it is bottled and sold. 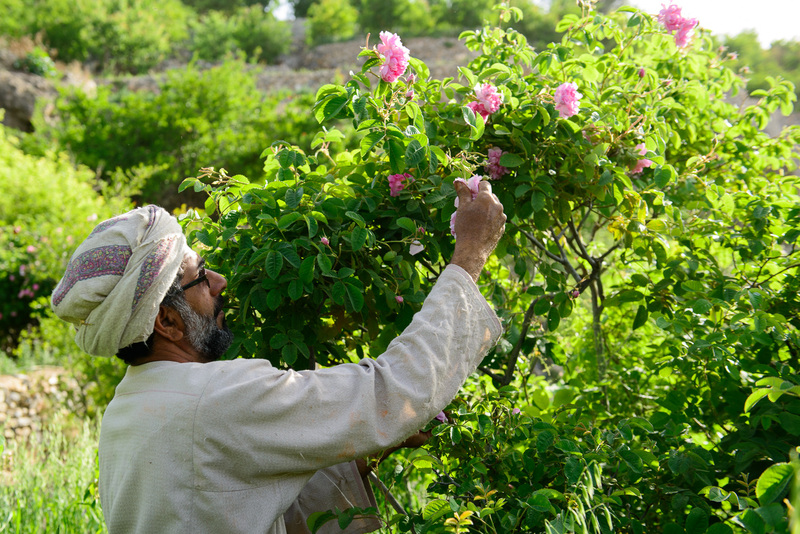 Omani rose water has a wide range of uses from medicinal to culinary and is highly sought after across the region. Abdullah sitting on the distilling wood ovens explaining the process of extracting the rose water with his hand above the covered vents of the ovens. Special thanks to my friend Ziyad Alarfaj for all the help and support on this project. Beautiful shots, Issa! It was fascinating to learn about the process involved in making rose water. Thanks for sharing! Loreen it was an amazing experience, I hope I managed to convey how it felt.